The tool helps to cut the skin, remove the pip, scoop the pulp, slice the pulp in 9 slices and mash the pulp. Wash before use. 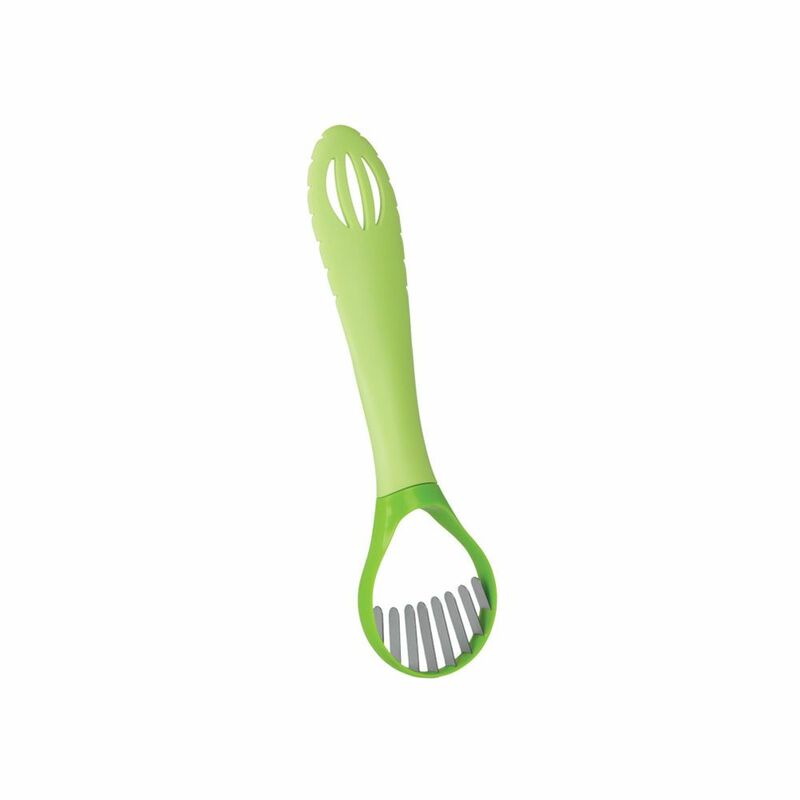 Ideal for preparing delicious Guacamole since it facilitates the whole process of extraction of the pulp. Dr Avocado Multi-Purpose Avocado Tool 5 In 1 Counseltron series of professional kitchen gadgets and housewares. For professional chefs. The ultimate collection of main kitchen tools such as ladles, spoons, turners and skimmers; essential gadgets like peelers, can openers, corkscrews and graters to sophisticated utensils like tea spoons and serving sets. A complete assortment for every need at the table and in the kitchen.